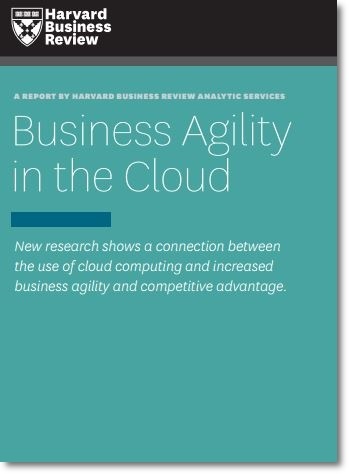 The figures from a Harvard Business Review Analytic Services survey sponsored by Verizon are quite impressive: 74% of survey participants reported a significant improvement of their business owing to cloud computing agility. In addition, they emphasized decreased response time, improved data accessibility, and optimized business communication. It is worth mentioning that awareness of the true potential of cloud computing agility for improved business markers among SMB owners/managers has rapidly evolved. The first thoughts about cloud were about its costs and time friendly character. Nowadays, business owners have realized that the only way for cloud computing agility to ensure business efficiencies is to use it properly. The survey has shown that participants are eager to explore new opportunities. Significant costs cut and faster business responsiveness are simply not enough anymore. The word is out that cloud computing agility offers improved business metrics. Both public and private sectors are standing in line patiently to try out this new concept. On the other side, public and private sector have different ideas about the security. The 65% of survey participants from the private sector have reported improved security as a direct result of cloud introduction. At the same time, the public sector is a little bit more pragmatic in this matter. They are grateful for cloud computing agility, which strongly influence their business effectiveness. Is it possible to come up with a compromising solution? The so-called “cloud computing agility enthusiasts” are convinced that a hybrid type of public and private oriented cloud use is a real thing. Nevertheless, they also agree that the public sector has to go through some adaptations before accepting the hybrid model. It is easy to talk about hybrid cloud, but ensuring the safe sharing of data and adequate synergy between different clouds is something else more demanding in its essence. For the time being the numbers work for the private sector. Yet, it is only a matter of time before the public sector experiences the true power of cloud computing agility for their business first-hand. Harvard Business Review Analytic Services is an independent sponsored research unit within Harvard Business Review Group, which conducts research and comparative analysis on management challenges and emerging business opportunities.